Oil on canvas. 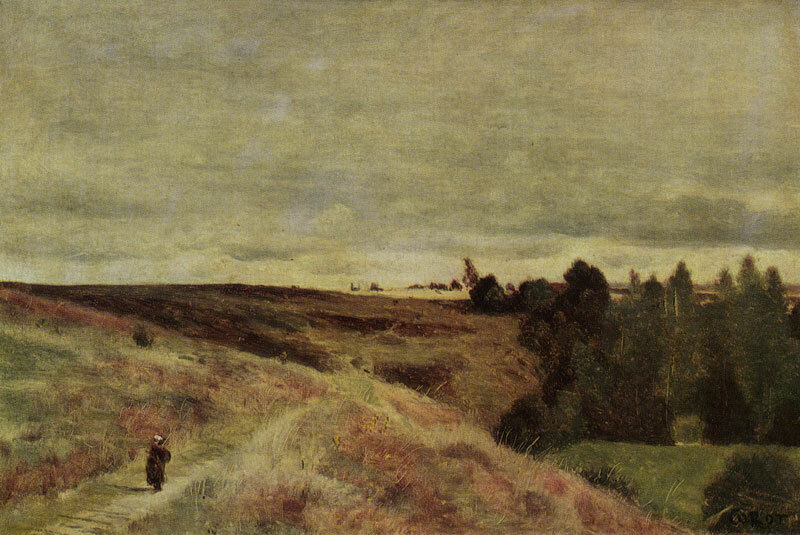 27.5 X 40 cm. Inv. No 3148 There are five variants of this picture which the artist painted in 1828, 1834 and in 1845. The canvas housed in The Pushkin Museum is the best. A. Robaut dates it 1834. Bibliography: Кат. ГМИИ 1948, p. 40; Кат. ГМИИ 1957, p. 71; Кат. ГМИИ 1961, p. 99; Robaut 1905, vol. 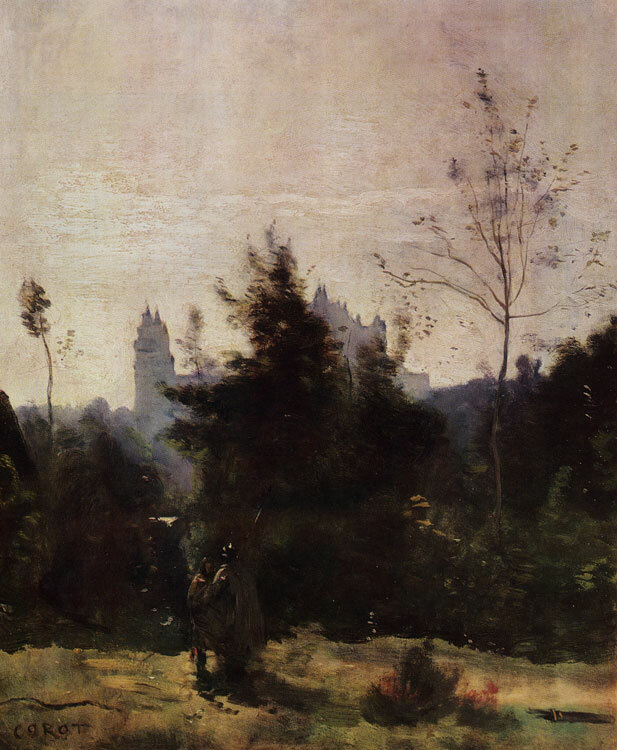 2, No 318, ill.; Catalogue des tableaux anciens et modernes composant la collection de P. A. Cheramy, Paris, 1908, No 132, ill.; F. Fosca, Corot, Paris, 1930, ill. (entitled Venice); Разумовская 1938, p. 21, ill.; G. Bazin, Corot, Paris, 1956, pp. 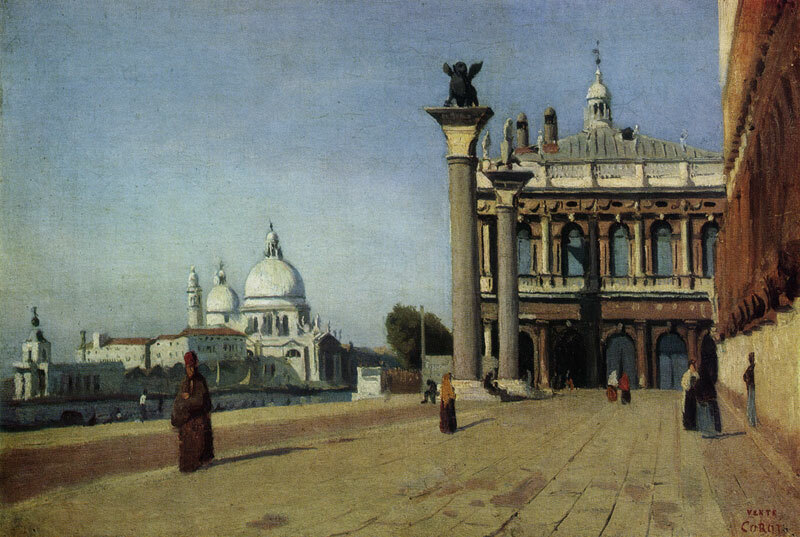 119—120; M. Alpa-tov, Corot a Venise, in: Art de France, 1961, p. 172; Прокофьев 1962, ill. 106; M. Алпатов, Этюды по истории западноевропейского искусства, Moscow, 1963, р. 352, ill. The picture is dated to the late 1860s or early 1870s. 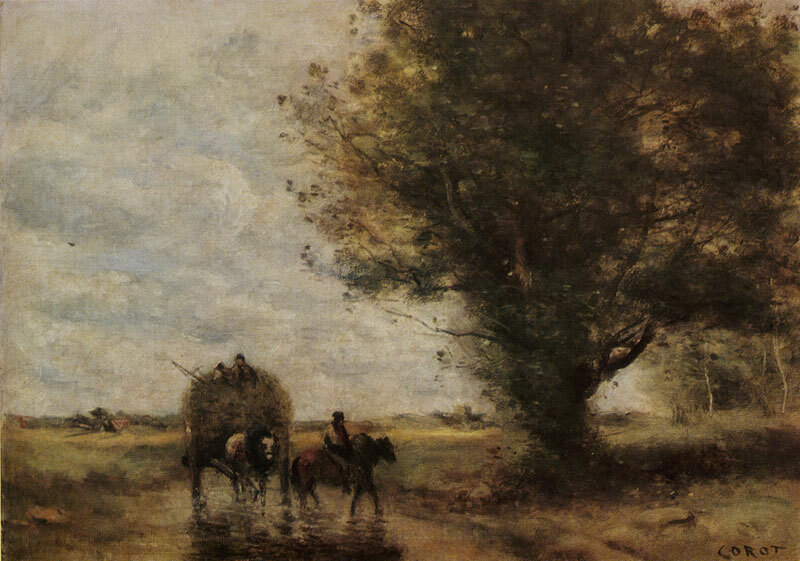 The motif is present in several of Corot's pictures. 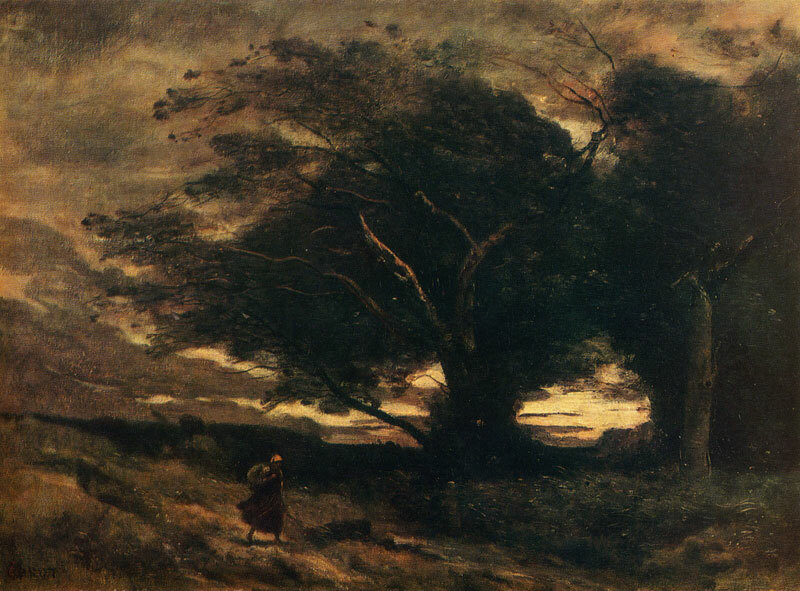 The most widely known include A Gust of Wind over the English Channel (1869—72, private collection, Paris) and A Gust of Wind (The Louvre, No RF 2038). There is also an autolithograph of the same name.